After more than a month of go-go-go, early mornings, late nights, jam-packed days, my mind and body are physically and mentally exhausted. The state of my mind right now: I do not want to stare into a computer screen, I do not want to tap away at a keyboard, I do not want to answer the phone, I do not want to decipher my chicken scratch. The entire drive home I had visions of vegging on my couch, watching PVR’d episodes of How I Met Your Mother and The New Girl with Zooey Deschanel (LOVE!). That was going to be my evening. That is, until Mario suggested a run. I wasn’t sure how the run would go given that I was up until 1:30 a.m. last night, meaning I only had 4.5 hours of sleep, and was seriously like The Walking Dead today. But because I haven’t done much aside from pilates this week, I figured I needed to get some kind of movement into my legs, and so I accepted the challenge. Some days, when you’re just dead tired, the last thing you need is exercise. Today was not one of those days. 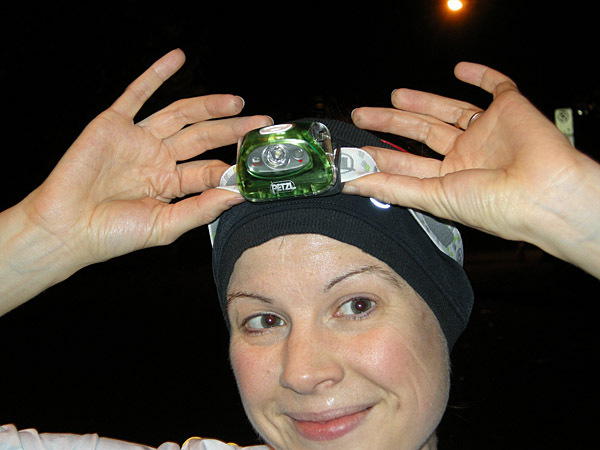 The run was awesome, the fresh air was amazing, my legs were on fire. And by the end, my eyes weren’t quite so squinty anymore. In fact, somewhat perky would be a good descriptor. Tonight’s run was exactly what I needed. 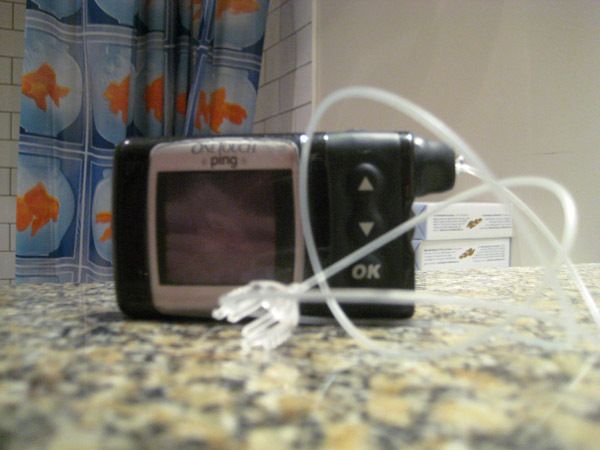 What do I do with my insulin pump when I’m in the shower? Well, despite Animas promoting a waterproof pump, it’s so not waterproof as I learned last spring in the pool. But truthfully, even if it was waterproof, I wouldn’t be going into the shower with it – what the heck would I hook it onto? There’s no clothes in the shower, and I’m thinking the skin would hurt just a smidge, and I’m not about to try and balance it between my neck and chest while lathering up, nope, not going to happen. So, the bathroom counter is where my pump hangs out every morning for about 10-15 minutes while I get myself all nice and cleaned up. Have you WATCHED The New Girl yet? Do you love it as much as I do? This entry was posted in Diabetes, Running. Bookmark the permalink. 1. Nothing beats the feeling of a great run when you feel like a zombie. 2. Although my pump is not waterproof and I’m used to taking it off, it never occurred to me where you would PUT the (waterproof) pump while showering until I read this.. uh. yeah. 3. LOVE the new girl. Totally fell in love with Zoe (can’t spell her last name) when Elf came out. SCULLY! Did you watch Monday’s episode? The DJ Dia-Beat-It line was brilliant! ps. my car’s name is Zoë. Such a brilliant name. No and No, my smart-aleck answer to your blog questions. The New Girl has me snorting so hard food is splurting everywhere – it’s that funny! could you hang your pump on a bellyring? just wondering. I almost gave up on The New Girl half way through the first episode, but the second have I was snorting and I pretty much haven’t stopped snorting since! Belly button ring + HEAVY insulin pump = ouch!